Low cut under-ankle wear to give you the sock-less look that is so fashionable for a men’s summer wardrobe, this big five-pair pack of Jack & Jones Short Socks are made for deck shoes, loafers, espadrilles and all low-sided footwear, a superb set of essentials, made from a very fine, 72% cotton rich fibre blend with a twisted yarn for durability without sacrificing softness. These non-cushioned socks are woven in a very fine gauge for a smooth, lightweight fabric with a natural feel and excellent breathability. 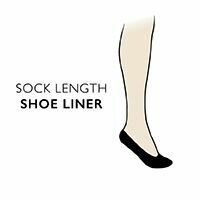 The socks are form-fitted with low, slim cuff edges to help them stay out of sight and comfortable.